Did you know that about 15 million vehicles reach the end of their useful life cycle each year in the USA? What happens to old cars? Most of them get dismantled and their “still decent” parts get resold through places like All American Auto Salvage. Once a vehicle’s parts are removed for resale, typically a “car crusher” reduces them down to a much smaller, more compact size for transportation to a steel mill. Vehicle recycling has become its own industry in the past couple decades. Recycling is good for the environment. For instance, the steel industry saves enough energy to power 18 million households on a yearly basis thanks to the recovery of steel from old cars and trucks. When metal gets recycled, that uses about 75% less energy than making new metal. This recycling process also saves some 85 million barrels of oil annually. Rather than have steel and non-ferrous metals end up in landfills, vehicle recycling puts that stuff back to work in a thoughtful and useful way. The reuse of older car and truck parts helps the environment. By reusing items, there’s less litter and junk polluting the world. Meanwhile, it means less mining needs to be done to get more materials to make new vehicles, since manufacturers can utilize stuff from older vehicles to ultimately make new ones. Furthermore, greenhouse gases are reduced thanks to vehicle recycling. 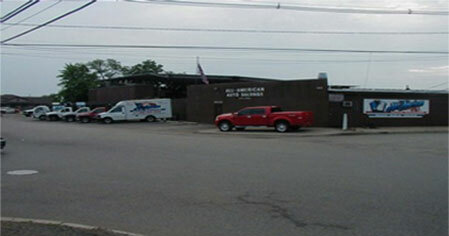 Salvage yards like All American Auto Salvage play an important role in the automobile industry. Harvesting parts from wrecked, destroyed or junked cars and trucks, a salvage yard becomes a depository of items that end up getting reused by those who need them. 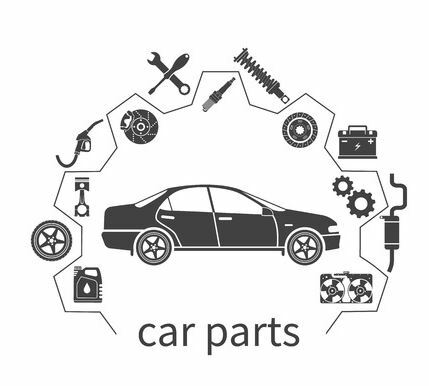 Offering affordable replacement parts, places like All American Auto Salvage can save consumers money while also helping to reduce overall environmental pollution. If you’re looking for a new engine, transmission or body panels for your vehicle, why not come to All American Auto Salvage to see what we’ve got on hand? When you buy salvaged parts, you’re doing your part to help make the world less polluted. All American Auto Salvage is open 6 days a week, Monday thru Saturday, at 192 Leesville Ave. in Rahway, NJ, and serves the needs of people in the tri-state area. Contact us at 732-574-1945 for more information.